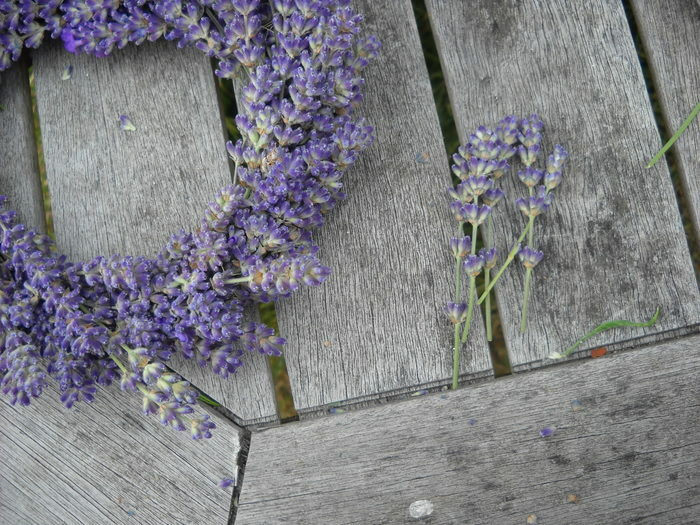 If I hold the lavender from my garden close enough to the camera can you smell how wonderful it is? 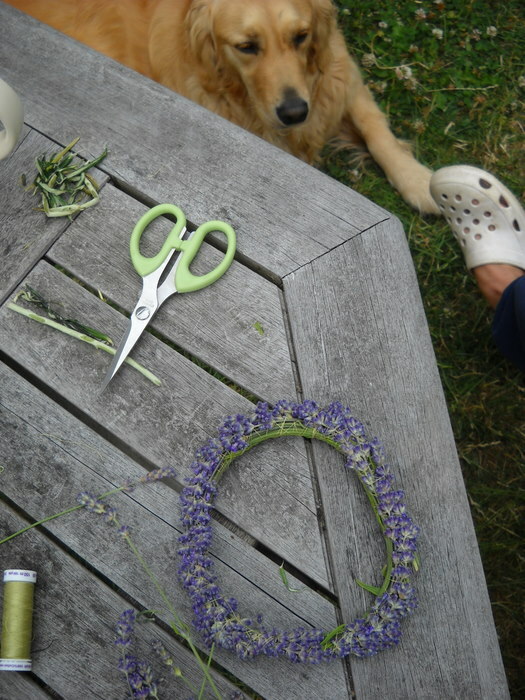 My daughter and I made wreaths using sewing thread. We took the leaves off (although you could leave them on if you wish). 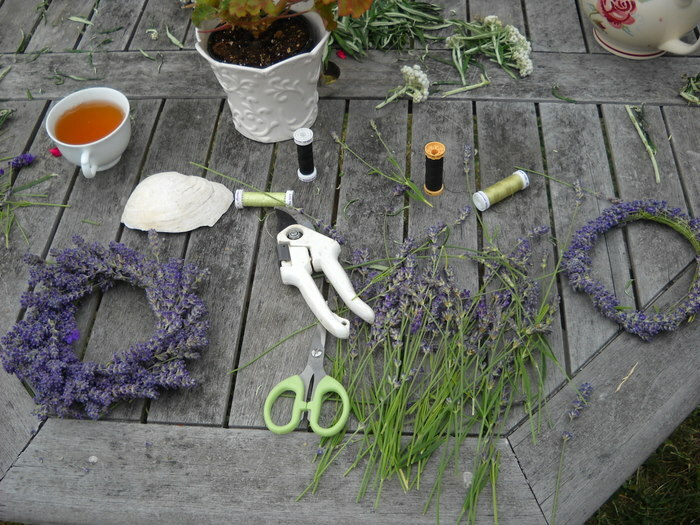 Start by gathering a little bundle and then looping the thread around the base of the flower heads. Not too tight or it will cut off the flower. It’s best to use a colour of thread that is green. We used dark blue and lighter green because that’s what we had. 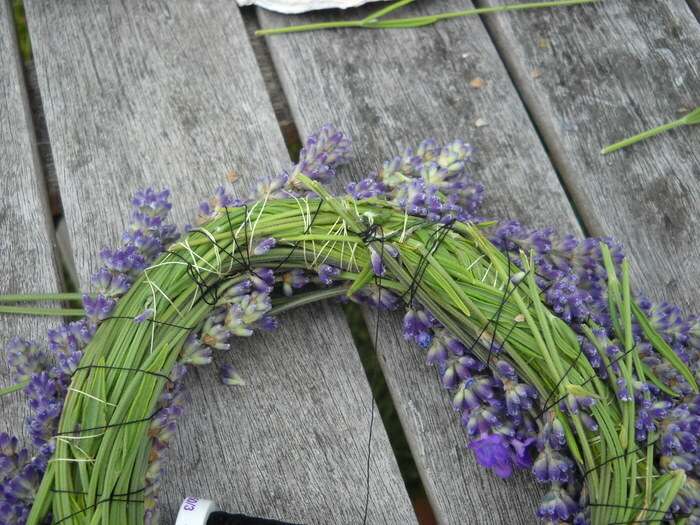 Here is my daughter’s wreath as she is adding small bundles. 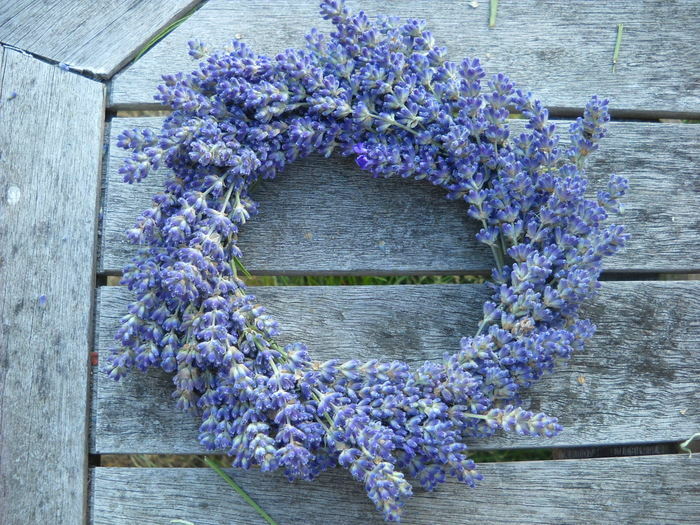 Once your wreath is long enough (or you are almost out of lavender, then gently bend it into shape (in this case a circle, but you could do a square or an oval). Then tightly wrap the thread around once the beginning and end pieces are slightly overlapping. Sometimes when children are younger this is the step when the grown up can hold it together while the child wraps the thread around and around. 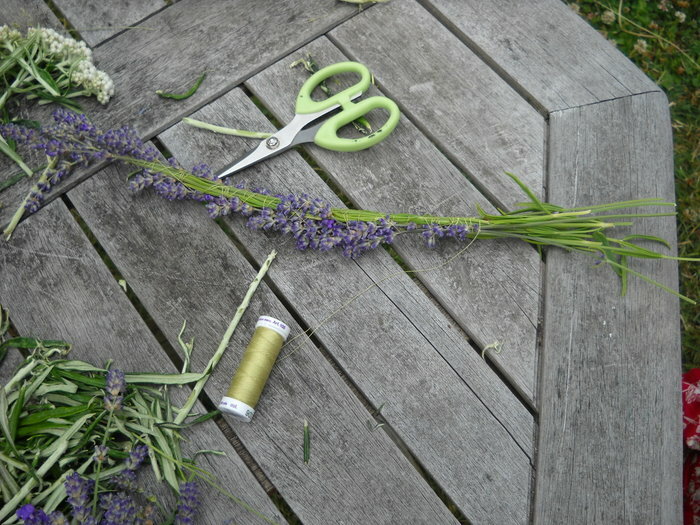 In the following picture is the back when I wrap the thread around the back of one stem and tie a few knots to close. 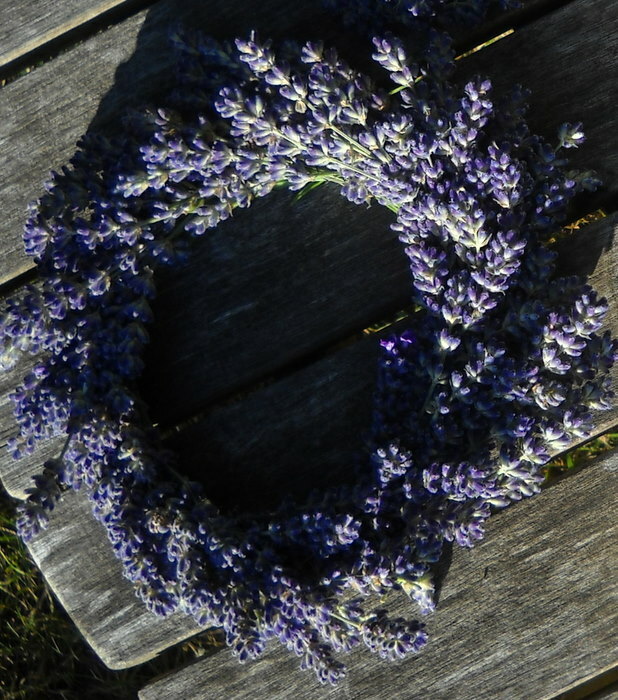 I hope you have fun making a wreath or two for yourself or as wonderful gifts come winter. Oh! 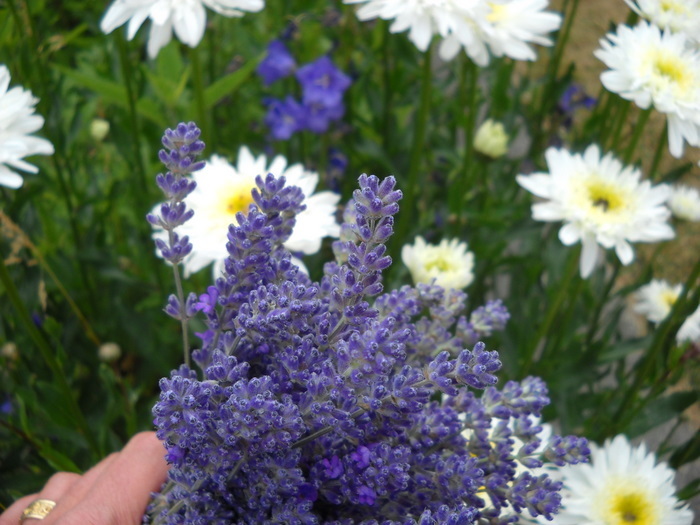 What a beautiful summer project! 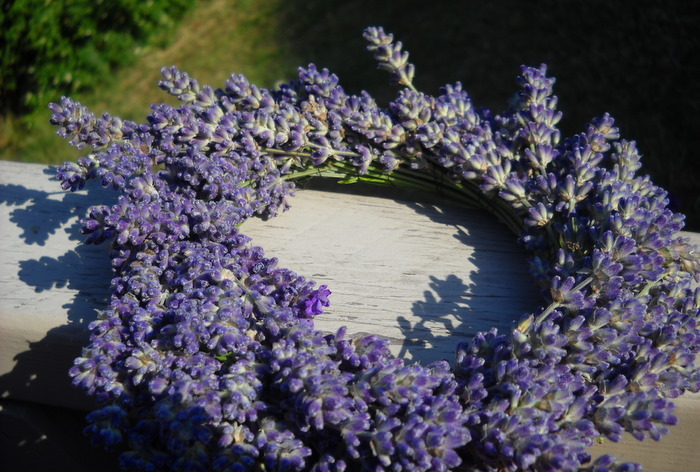 If only my lavender plant hadn’t died during our horrendous snow year 2 winters ago. I must replace it! Your wreaths are really beautiful, girls!